Police later arrested a 22-year-old "career criminal" for the burglary and arson. Police didn't find any connection between the man arrested and Croman. 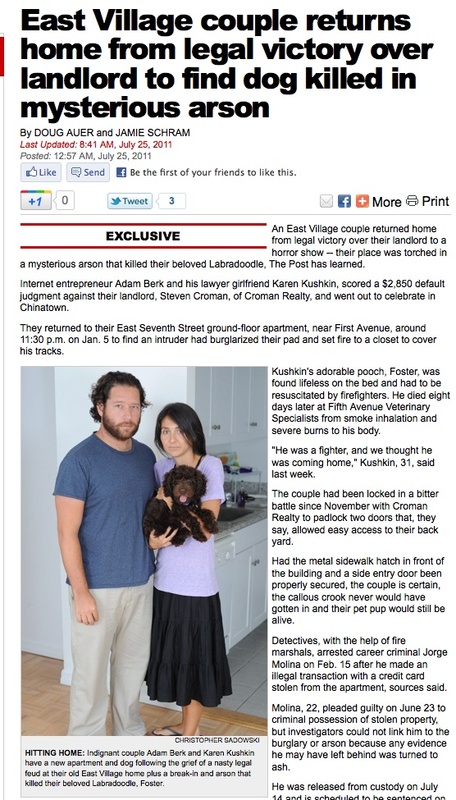 Meanwhile, the couple are considering filing a civil lawsuit against Croman Realty. They have since moved and have a new dog.